This summer saw the launch of two new contemporary Aboriginal dance events and the return of an Aboriginal arts festival. In June, the Banff Centre for the Performing Arts hosted Canada's first International Indigenous Choreographers Summit, a two-week dance residency that brought thirteen dancers from Canada and Mexico together with four international choreographers for an intensive collaborative process. 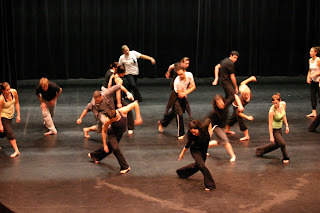 The program included a three-day summit with an additional fourteen Aboriginal choreographers. Final works were presented as part of the 2009 Banff Summer Arts Festival. In August, Kaha:wi Dance Theatre held its inaugural Summer Aboriginal Dance Training Intensive in Toronto. The three-week program offered classes in ballet and contemporary dance as well as traditional Aboriginal performing arts. According to Kaha:wi Artistic Director Santee Smith, the program was created in response to an "overwhelming need for professional development of the Aboriginal dance form." Also in August, Planet IndigenUs, a multi-disciplinary festival of Aboriginal art, was co-presented by Toronto's Harbourfront Centre and Brantford's Woodland Cultural Centre. The festival featured performances, workshops, and community collaboration projects by Indigenous artists from Canada and around the world. Initially presented in 2004, this was the festival's second year.